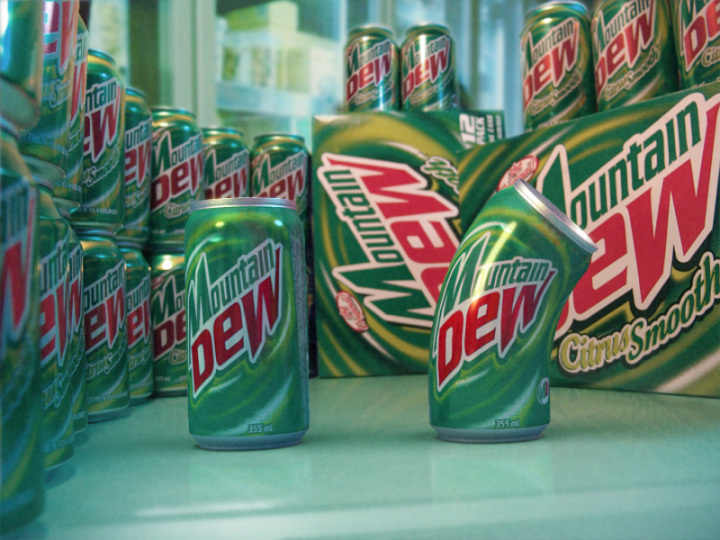 A short but fun animation sequence produced for Mountain Dew, using a test track from the late (and great) John Candy. 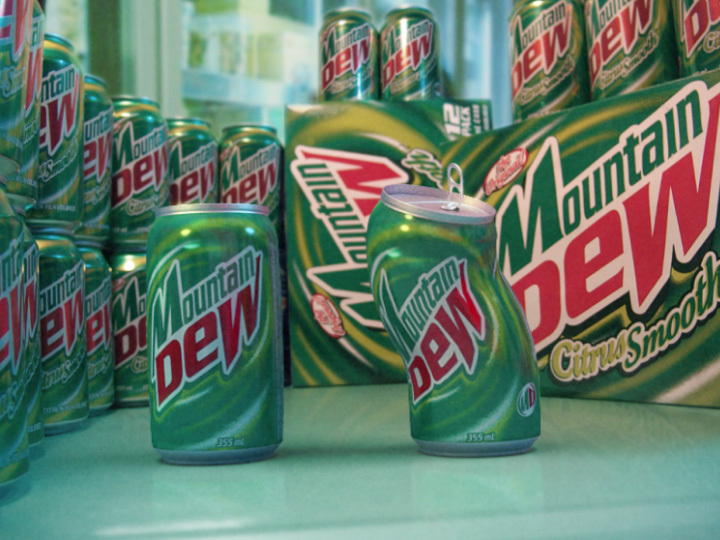 The background here was actually created physically by myself using real Montain Dew cans and boxes, then lit, and finally photographed. The 3D cans were then lit using image-based lighting from the photography, which is why they are so well-integrated with the background.